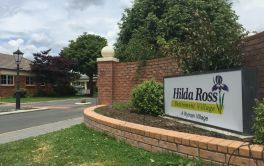 # 123 of 409 Retirement Villages in New Zealand. This facility is owned by FREEDOM VILLAGES. 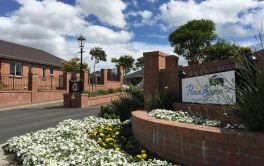 Freedom Villages Papamoa is located in Papamoa Beach, Bay of Plenty and offers 182 dwellings with Villa, (2+ bdrm), Villa (1 bdrm) of independent retirement living. × Have you visited this facility? 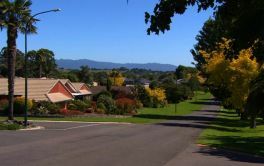 Help others who are looking for a place by posting a review on Papamoa Sands - Freedom Villages or review a different facility now. Neighbours who have a lot in common, simply because we all chose this village. Security, plus neighbours on hand to water garden etc while away. There's always a neighbour who will lend ingredients when half way through a recipe and find you've run out of something! Always someone happy to share a chat and a cup of coffee if feeling the need for company. Activities to pick and choose from, plus to lead if you come with gifts or experiences. Retail and medical rooms and movie complex nearby. 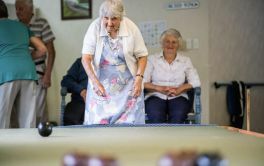 The management here appears to have little understanding about how much some Kiwi retirees love their gardens, and need that as an activity and therapy. They have very harsh rules about planting lovely flowers in certain areas. It saddens many of us. Let those who love gardens, make and maintain gardens. If they can't do that any more, have a clause in the rules that in that case, the garden must be put back to easy care. Always caring neighbours around. Someone to help out if needing transport, etc. And always people will water the garden or take out the rubbish if we are away. Strange negative, but I undervalued it before I came: we make many dear friends, but then they have health issues, related to ageing of course. So I am often sad for what people are going through! Just remember this is your business, but our life. Tread carefully when making rules, so we feel cared about, not at boarding school. Lock and go! Motorhome secured parking. Gardens and lawns managed. Acoustics in the village is so bad we do not attend any activities. Management have refused to manage this problem. Good price, and we get capital gain. Always company, if wanted. Able to go away, and its safe. Great security. If manager is unfriendly (we now have a good manager), feel 'imprisoned'. Some negative, moaning individuals spoil it. Some make grandchildren fell unwanted when they visit. We feel frustrated here, because the lovely village centre has no acoustics. 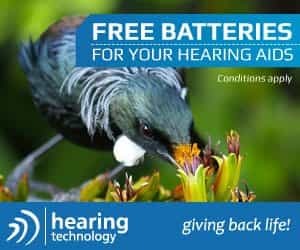 It is so hard to hear each other, plus most have hearing loss. We feel it is cost cutting. Very affordable at time of purchase 2016, own this villa and get the capital gains when sold. Garage driveway too small and steep. 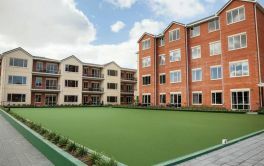 This looks like the ideal way of living for those of sixty and over, safe, affordable and in a lovely location with everything you could need.